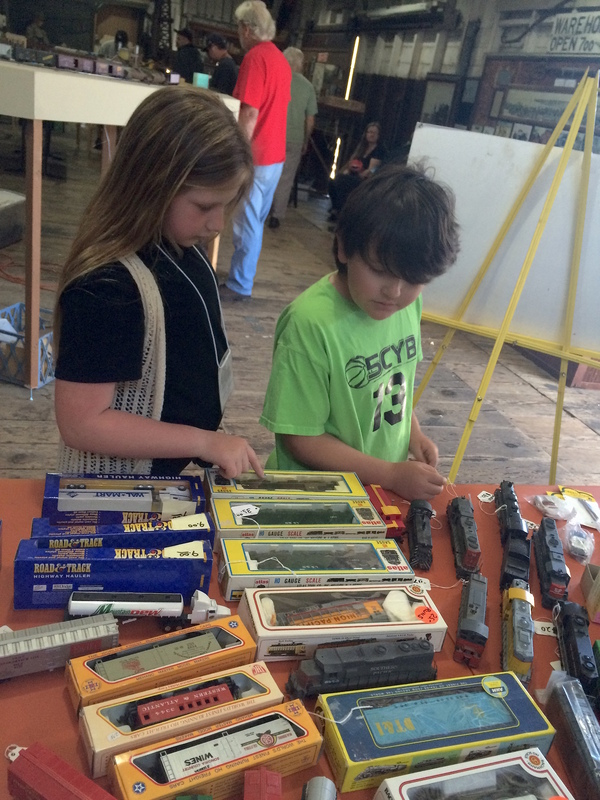 2019 MODEL TRAIN DAYS–A BIG SUCCESS! 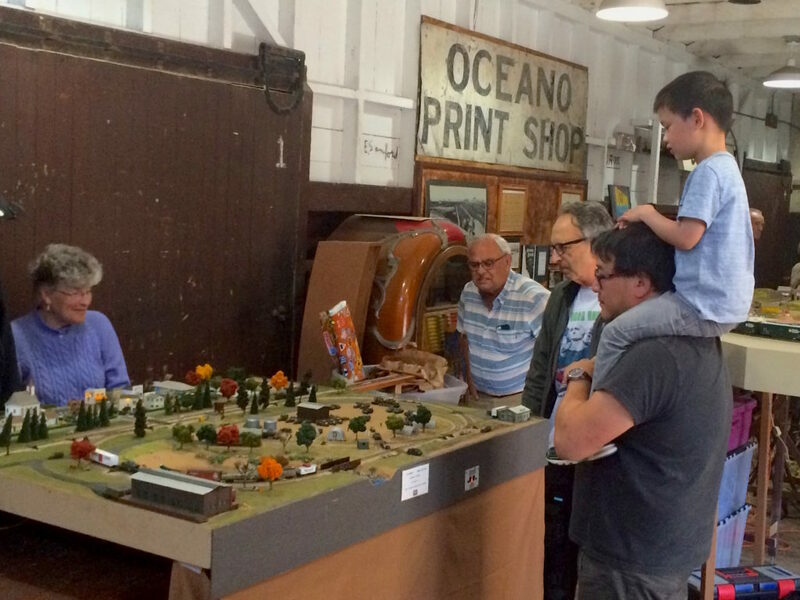 THE TURNOUT WAS GREAT AND MANY PEOPLE ENJOYED WATCHING BOTH THE HO AND N SCALE MODEL RAILROADS AND PERUSING THE SWAP MEET TABLE FOR GREAT BARGAINS. A BIG THANKS TO ALL WHO ATTENDED, AND A BIG THANKS TO THE FANTASTIC MEMBERS OF THE SLOMRA WHO PUT ON A GREAT SHOW FOR KIDS OF ALL AGES…HERE ARE JUST A FEW PHOTOS…..
SLOMRA was up and running at the 2017 Santa Barbara Fair at the Santa Maria Fairground. Watch this interview with SLOMRA President Joyce Wilson interviewed by Tim Runels of the SLO Free-Mo group. This group was originally incorporated as the SLOMRC back in the early 1990s. In 2006, we were restructured as a non-profit organization. Since it’s restructing, we have attempted to meet the goals of our mission statement in new and interesting ways. We are governed by our bylaws, the link for which can be found below. 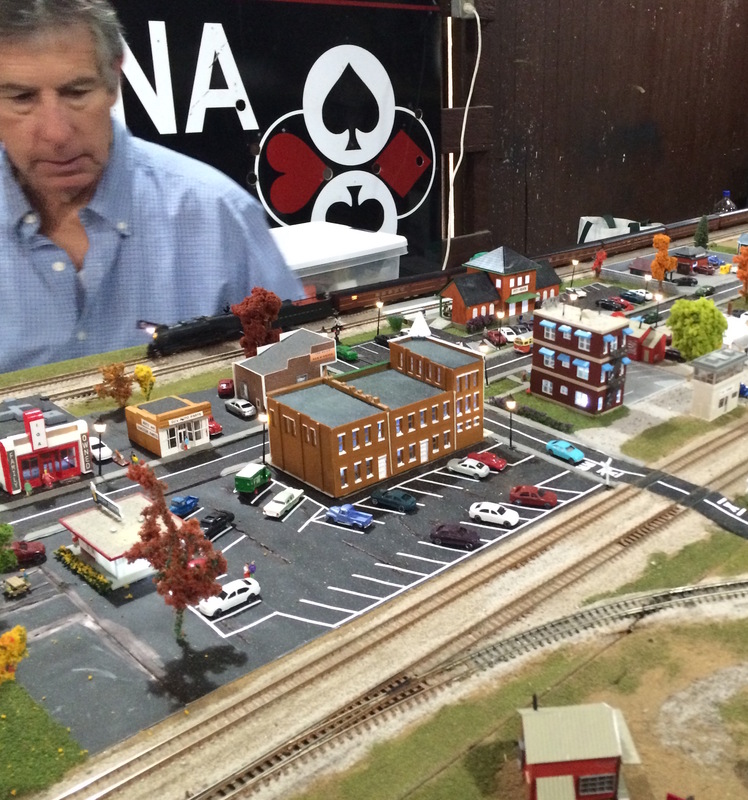 Our group maintains a substaining club membership with the National Model Railroad Association (NMRA) and has assisted with local NMRA events. 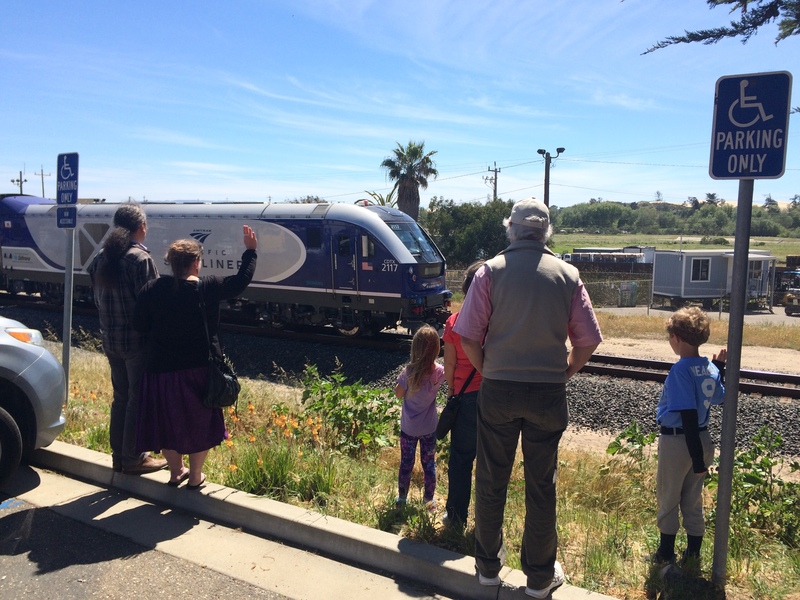 Because of our location, we are part of the Pacific Coast Region of the NMRA. 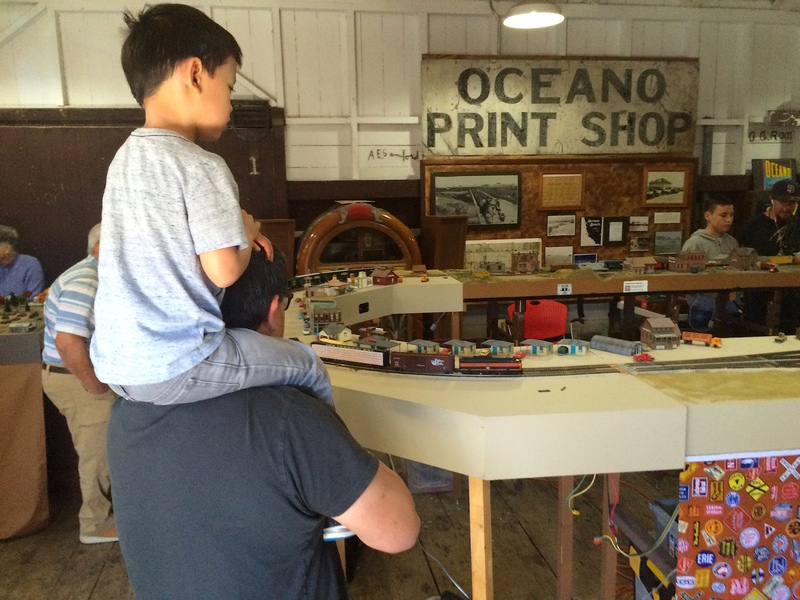 We also work closely with the Central Coast Railroad Festival to add the modeling of trains to the interest of all rail fans. 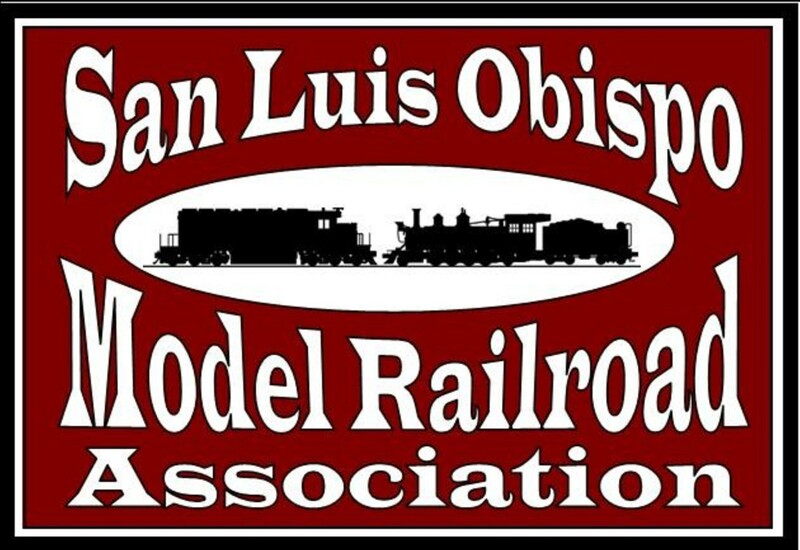 We continue to educate and train our members in all aspects of railroading through monthly meetings, train related events and other opportunities. Although we incorporate any scales members might want to exhibit, the majority of our modules cover HO and N scales. 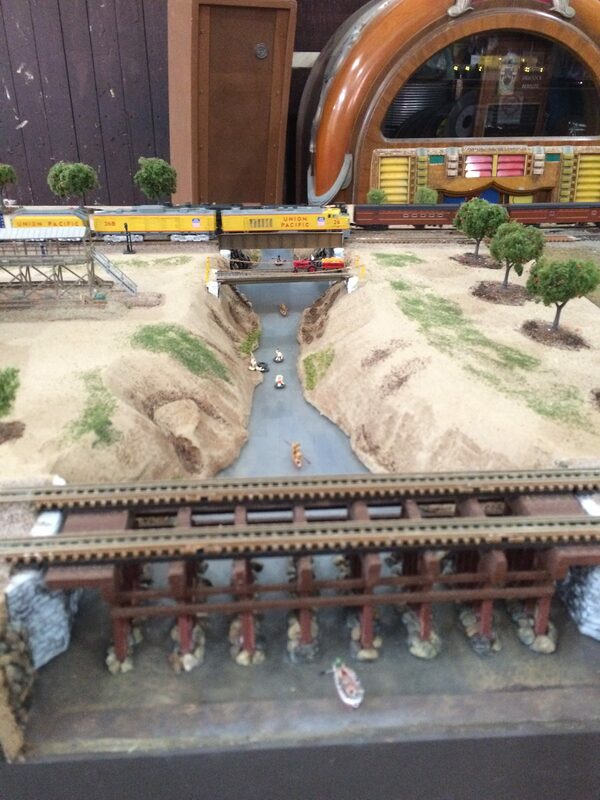 We are open to other scales and in the past we have had temporary setups of G, Fn3 and O scale at our shows. Members also host work sessions in their garages.